Black Friday. No two word combination in the English language is able to instill excitement, anxiety, and fear quite as swiftly as the biggest sale event of the year. Black Friday has been a tradition of American consumerism since 1932, when it was declared the official start of the holiday shopping season. It wasn’t until 2005 that the craze really took hold, when frantic shoppers made it the busiest shopping day of the year – a trend that has continued annually ever since. Anticipation surrounding this day is so great that many other businesses close in observance. The itch to get the best deal on everything from underwear to appliances is so persistent that some stores even open their doors on Thanksgiving Day for exclusive doorbuster deals. From individuals eager to buy their presents for as little as possible, to people looking for any reason to escape the company of their in-laws, early Black Friday deals have something that appeals to just about everyone – even used car shoppers. New and used car dealerships from the Pacific to the Atlantic and everywhere in between purchase Black Friday ads each year hoping to entice buyers into their showrooms, and who can blame them? No other day in the entire year is able to convince people to buy items they don’t actually need compared to Black Friday. 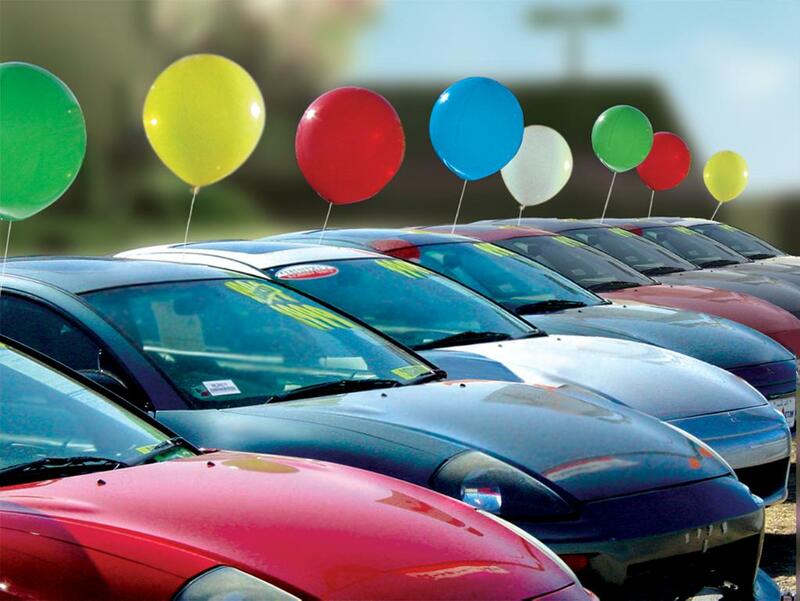 While some buyers may be attracted to less crowded dealerships than overly crowded shopping malls, there are several days each year that are prime for securing great deals on used cars. When is the Best Day to Buy a Car? While it may not be a secret that some of the best days for a used car deal fall in December, it is not a fact that is generally publicized. The majority of deals on used cars take place toward the end of the year, and realizing that fact can save impatient buyers a lot of money. Rather than jump on summer-time deals, waiting until the final few months of the calendar year can prove to be much more than beneficial. That leaves us with an important question to ask ourselves – when is the best time to buy a used car? Aside from Black Friday, when should you head to the dealership for your best shot on a great deal? According to the car ranking website, iSeeCars.com, there are ten days in the year that traditionally offer the greatest savings for used car buyers. After examining more than forty million used car transactions from 2013 to 2015, iSeeCars.com determined that the following ten days are likely to offer the best savings for car shoppers seeking a deal. Black Friday: Not at all surprising, iSeeCars.com found that the best possible day to find a phenomenal deal on a used car is the day after Thanksgiving. This car ranking site found that dealerships offered used cars for around 33-percent less than the rest of the year. Not at all bad when considering the high sticker price of a pre-owned vehicle. Veteran’s Day: Another traditional sales day, Veteran’s Day seems to bring out the generosity in furniture dealers and used car dealers alike. iSeeCars.com reports that buyers are 32.5-percent more likely to find a deal on a used car on the day that honors our nation’s heroes. Thanksgiving: Surprisingly enough, Thanksgiving Day takes the number three spot for the best time to buy a used car, with an average of around 30.6-percent more deals than any other day of the year. While you might have trouble finding a used car dealer with open hours on “Turkey Day,” your best bet for securing a great deal between stuffing your face and watching football is through a dealership’s internet sales department. Columbus Day: Another school holiday that is brimming with great deals is Columbus Day. Generally regarded as the start of the used car sales season, Columbus Day offers 30.5-percent more deals than average – and unlike Thanksgiving Day, you will have no problem finding locations with open hours on this October Monday. Martin Luther King Jr. Day: The only day on this list that suggests buying a used car in January is a good idea offers 29.4-percent more deals than the average sales day. It is the only ideal day to buy a used car that falls in the first nine months of the year, giving over-eager buyers an excuse to buy early rather than wait until the final months of the year. Christmas Eve: Looking for a last minute gift that truly says it all? Apparently, so are a lot of Americans. Used car sales on Christmas Eve are not only higher than average, but shoppers are likely to find that around 28.7-percent of vehicles for sale that day are offered at a greater discount than normal. Not a bad way to wrap up your last minute shopping, just don’t forget to grab that over-sized bow on your way home. Month of November: Aside from Black Friday – an obvious stand out in the used car buying deals department – the entire month of November offers just under 27-percent of deals that are below average. If you aren’t keen on trampling over sales-hungry shoppers on Black Friday, your odds of finding a great deal on any other day in November are good. Month of December: Another general time frame for used car deals, the entire month of December offers 23.5-percent more deals than the average shopping day. Christmas: While you are more likely to find Santa stuck inside your chimney on Christmas morning than you are a used dealership with open hours, the immediate days surrounding December 25 offer great deals for car shoppers. In fact, iSeeCars.com found that 21.4-percent of used car deals are better than average on the days immediately before and after the major holiday. New Year’s Eve: With end of year closeouts, and dealerships looking to finish the year on a high note, New Year’s Eve seems to be a great day to cash in on awesome deals on used cars. The data compiled by iSeeCars.com found that over 21-percent of used car transactions from December 31 offered better deals than the annual average. Not a bad way to round out 2016 and ring in the New Year right. For the best deals on used cars on these specific days or any other time throughout the rest of the year, be sure to check in with the team at DePaula Chevrolet.